Follow for show news + peculiar tidbits. 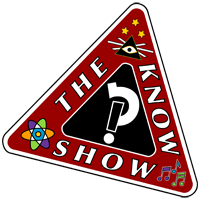 The Know Show is a curious oddcast created by two weisenheimers, Smith and Natty. Carter and Smith return with sound collaborations punctuated by ballooning ascents. Sans the accents‽ Only one way to find out… †Thanks, Robert Browning and Burl Ives.